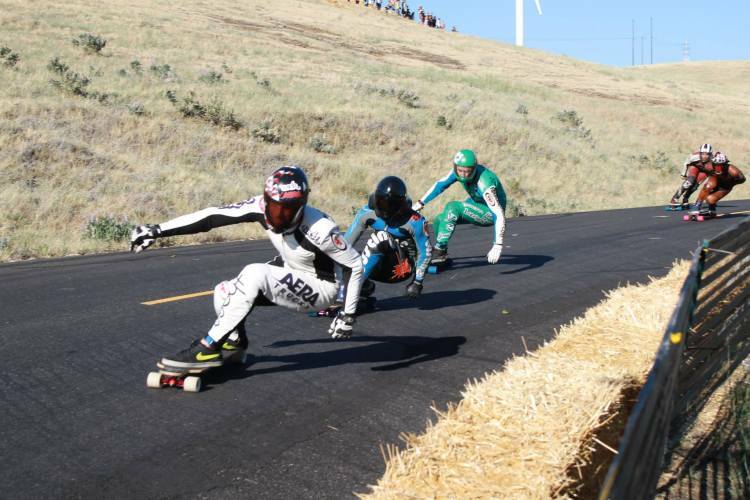 Maryhill, USA - In a day of blistering hot temperatures and controversial protests, Patrick Switzer took out the Maryhill Festival of Speed for the third time, while Elena Corrigal won the Womens. Dejaune Jones-Norman won his first ever World Cup Juniors race, while Mikel Echegaray Diez completely dominated the field to take out both Classic Luge and Street Luge. 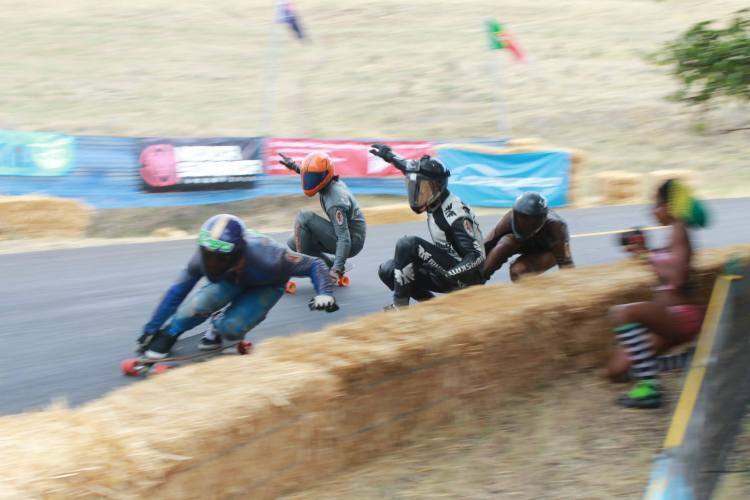 Over seven years the Maryhill Festival of Speed has established itself as one of the premier skateboarding events in the world, with a track that is perfectly suited to tight and exciting racing. This year was no exception, with many races coming down to the wire, and plenty of controversial incidents in the final corners as riders attempted to find the optimal position to come out in front. Earlier in the event the track record was broken by Kevin Reimer, who was consistently several seconds faster than his rivals. 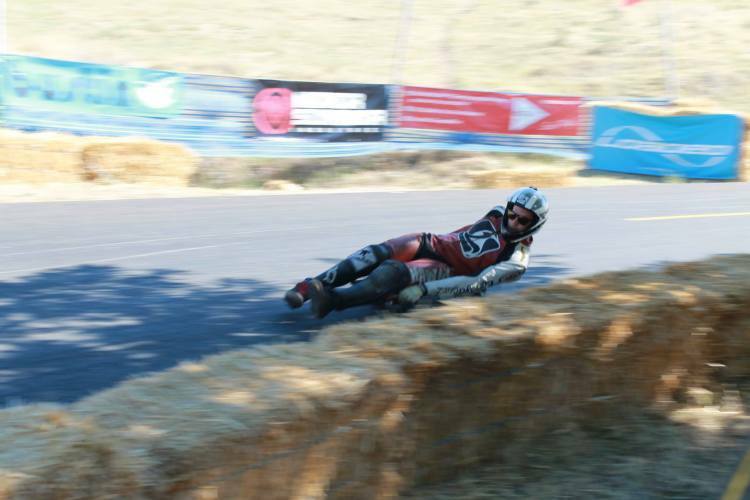 However his chance for the win evaporated in the semi-finals when for the first time in the event he was caught in the middle of the pack in the final corner and was disqualified for touching another rider, sending Max Ballesteros into the hay. The Open Final featured some tight racing, but Patrick Switzer emerged from the pack to take the win, closely followed by Thiago Gomes Lessa, Zak Maytum, Max Ballesteros, Key Dougherty, and Danky Dean Ovalhe. In the women's final Georgia Bontorin from Brazil was leading when Amanda Powell appeared to collide with her from behind in the straight, causing a pile up and allowing Elena Corrigal to cruise into first place, with Marie Bougourd and Katie Nielson filling out the podium. Similarly the Juniors Final featured a pile up allowing Dejaune Jones-Norman to take his first ever World Cup win, beating out favorites Roger Jones and Connor Ferguson. Mikel Echegaray Diez set the course record for Street Luge, and dominated all his races, with only Keith Henderson in the Classic Luge coming close to causing an upset.